It’s a whole new world of flavors out there! Today’s chefs are breaking ground with previously underexplored cuisines, bringing popular Asian and Mediterranean flavors to the forefront of Western palates. Recent food trends also reflect changes in the way diners approach eating in general. 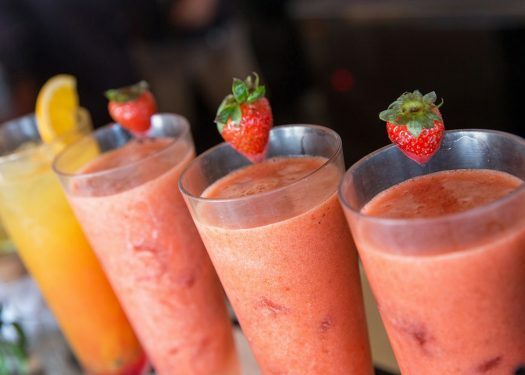 Restaurant patrons are looking for healthy, convenient staples that suit their demanding schedules, while also sampling indulgent, Instagram-ready eye candy in their free time. Here’s how the year’s food trends are shaping up—and how you can take advantage of these in vogue foods to drive business to your restaurant. Sushi for breakfast? The truth may not be that far off. Savory, Asian-inspired AM fare is high on many a chef’s list of new food trends to try this year. From Japanese breakfast crepes to eggs flavored with furikake, Eastern cuisine offers plenty of fertile territory for morning menus. And restaurants are finally starting to catch on; trendy eateries in Napa and Brooklyn now offer Japanese-style breakfasts that include mixed rice bowls, servings of grilled fish, and pickled vegetable salad. Diners say Asian breakfasts feel healthier than sweeter, conventional options and give them a satisfying taste experience in return. If you’re looking for ways to expand your traditional breakfast offerings, adding a touch of Asian influence—a breakfast omelet filled with pickled vegetables, say—really puts you in line with current food trends. Instagram is almost eight years old now, which makes the practice of Instagramming your meal practically an ancient rite, in tech terms. However, the social media platform continues to hold sway over food trends, as users hungrily search for the next big photogenic food. Today’s trendy diners munch on eye-catching ice cream cones sprinkled with edible glitter, chow down on delicately-arranged floral salads, and pose with donuts topped with colorful breakfast cereal. But even more down-to-earth fare can inspire a following if you use the platform to your advantage. Be sure to fill your account with plenty of optimized photos of your restaurant’s offerings. Encourage patrons to snap photos of their meal by displaying food artfully on attractive dishes. Don’t be afraid to get a little creative with your plating, either—whatever it takes to create a veritable feast for the eyes! And be sure to give foodies a sassy hashtag to include when posting their festive eats. You’ll be able to search the hashtag and see what your patrons are saying. There’s a lot more you can do with technology than simply buffing up your social media game. Tech-savvy restaurants are using new innovations to dish out high-quality custom dining experiences. Proximity marketing helps drive traffic to the restaurant while custom, data-driven recommendations reward diners with tailored food choices once inside. 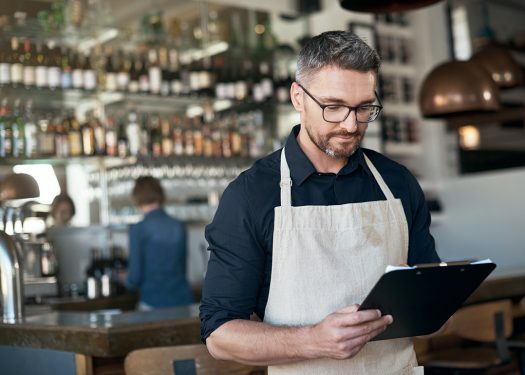 On the operations side of the equation, smart inventory systems help restaurants provide the freshest food available and ensure that no item gets 86d. 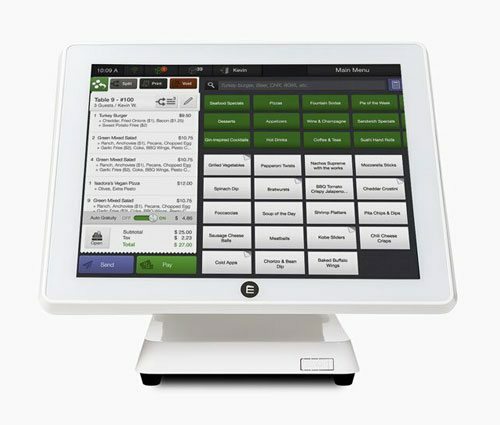 Robust POS systems complete the ensemble, allowing businesses to serve complicated menu items such as trendy quinoa or poke bowls heaping with customer-chosen ingredients. Tableside ordering systems make it easier for patrons to choose the speed of their dining experience, while online menus make delivery or pick-up a more tailor-built experience as well. The future is personalizing everyone’s experience to have it their way! Bold flavors are the focus of 2018’s most exciting foods, and as always, Western palates are insatiable in their quest for new flavor combinations. That’s bringing attention to previously underused Mediterranean and Indian spices, like cardamom, harissa, and za’atar. Beverages are also feeling the impact of this food trend, particularly coffee. For instance, there’s a rising interest in café de olla, a traditional Mexican coffee that uses cinnamon and panela. Coffee flavored with a blend of cinnamon, cardamom, ginger, cloves, fennel, or anise may gain popularity, too, as coffee drinkers look for alternatives to sugary syrups and heavy creams. So long calorie counts! Today’s healthy eaters are shifting from calorie-centric fad diets to a more mindful approach to their food. That means increased emphasis on healthful, whole food options over artificial ingredients and unsustainable sourced additives. Quick service restaurants that can convince diners of their food’s freshness and local origins are likely to capitalize on this food trend, especially since “fast” food is seen as less healthy than other options. This gives smaller franchises a chance to gain an edge on larger corporations, since they may have an easier time assuring patrons that their options are local, fresh, and sustainably sourced. All in all, there’s never been a better time to eat out—or run a restaurant!